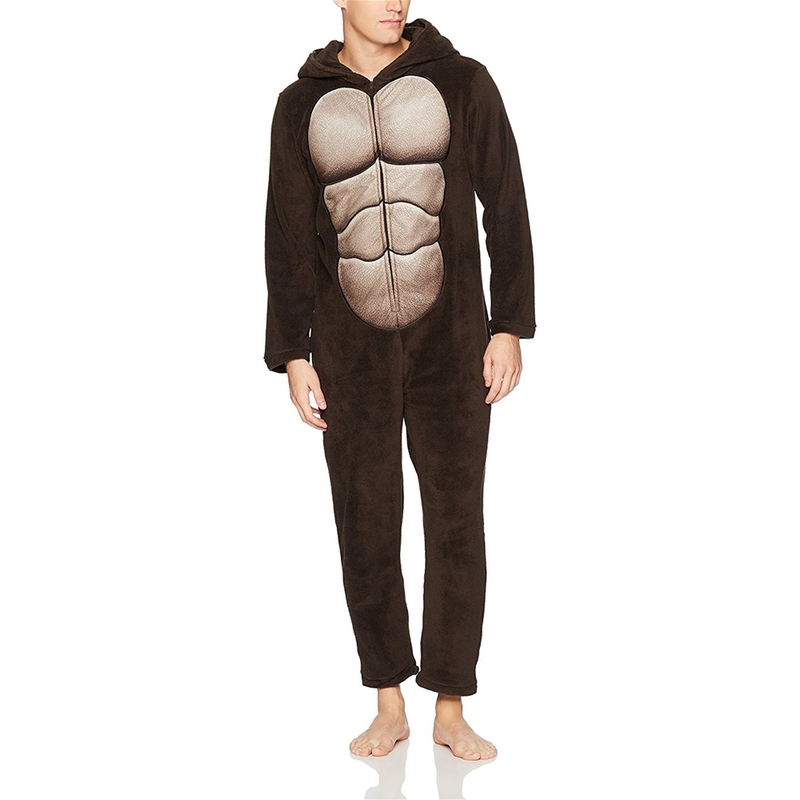 Monkey around this Halloween dressed in this Gorilla Adult Mens Onesie. Made of 100% polyester, the adult men’s onesie features long sleeves, a front-zip closure, rib-knit cuffs, and an attached hood. The front of the onesie is detailed with printed chest muscles. While the attached hood features a gorilla’s face with 3D detailing featuring a bushy brow and round ears. 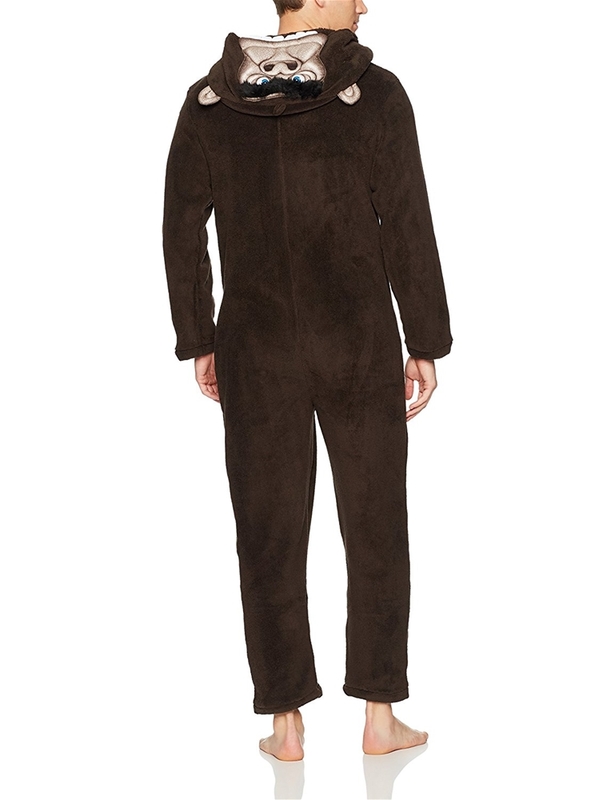 Soft and lightweight, this adult onesie makes a quick and easy Halloween costume or fun everyday loungewear.